Warning: Spoilers ahead for the “Indifference” episode of The Walking Dead. On tonight’s episode of Talking Dead, host Chris Hardwick interviewed Andrew Lincoln and Melissa McBride about the surprise ending on the “Indifference” episode. At the end of the episode, Rick told Carol that he didn’t want her in the group anymore, because she killed Karen and David. 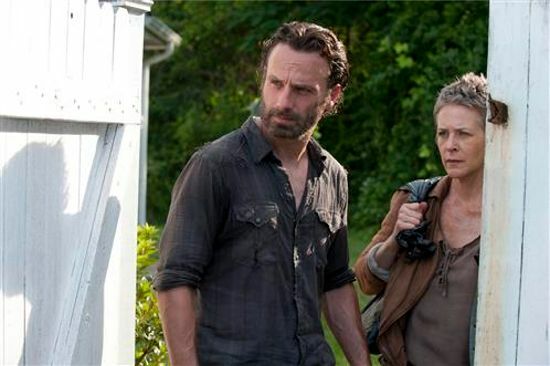 Rick gave Carol some supplies, and then sent her on her way to find a new group.